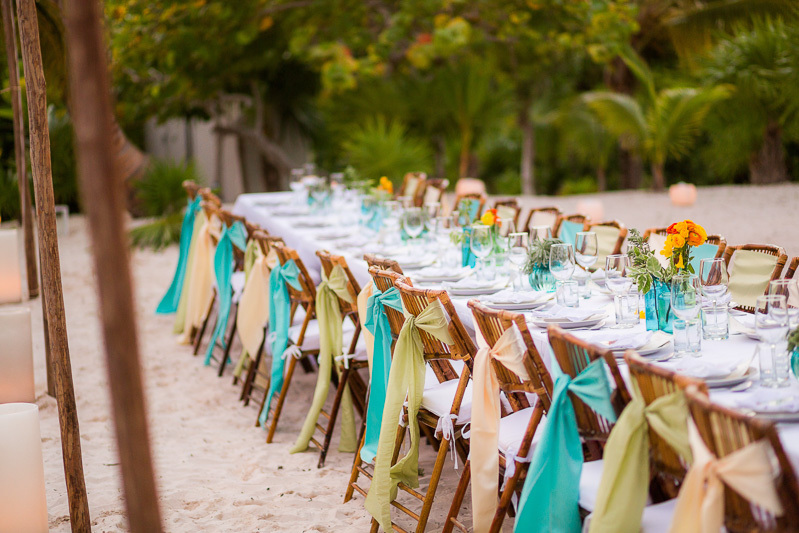 If you are getting married in a Villa or more rustic location here in the Riviera Maya, I suggest using some of the local flowers and vegetation for your wedding centerpieces. 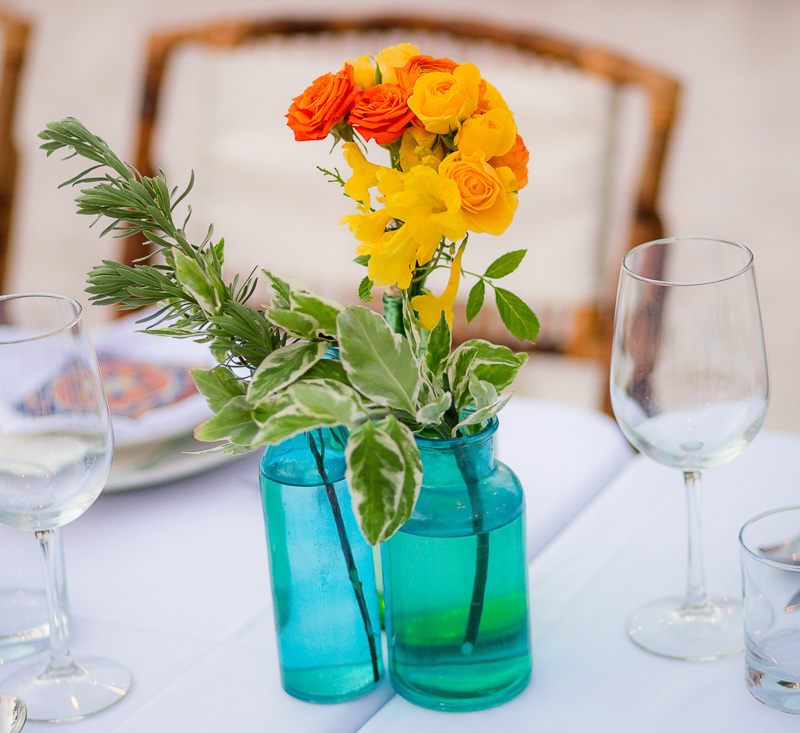 So long as you keep it simple and not too elaborate, it is a beautiful and simple way to add a little love to the tables that are in keeping with being sustainable. The photos here are samples of what Lindsey and Shaun did for their wedding. Simple, elegant, beautiful and sustainable.